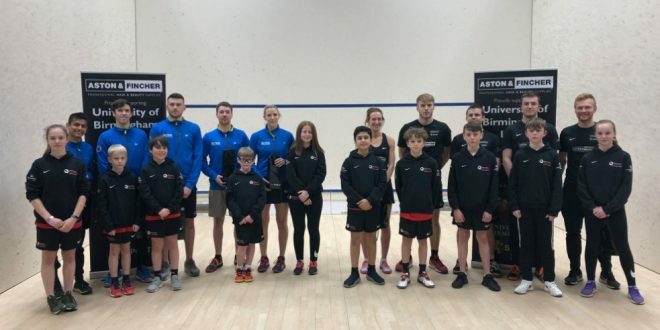 Round Two of the 2018/19 Premier Squash League saw Tradition @ RAC and Team Pontefract go top of their divisions with contrasting wins. 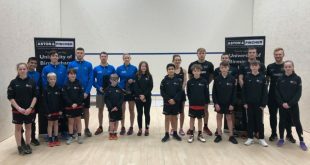 The traditional early start (6.30) at RAC saw the home side quickly take control against the visiting Welsh Wizards as Daryl Selby put them into the lead and Alison Waters came through in close games against Tesni Evans. The home side powered on to a five-nil win to take them to the top of the table. 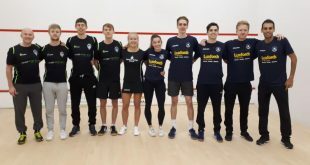 Reigning Champions St George’s Hill found themselves two-nil down at Chichester after wins from Miles Jenkins and Jared Carter, and the home side had a chance to clinch victory in the third match, but St George’s Jasmine Hutton sneaked the second 12-10 on her way to beating Ali Thomson. Tom Richards made it two-all, and world #1 Mohamed ElShorbagy completed the St George’s comeback. 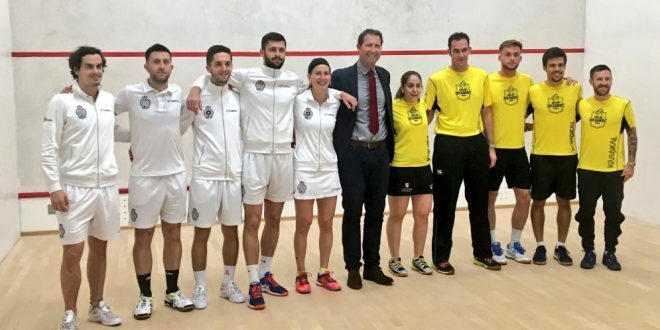 On Friday, Coolhurst had beaten Bexley 3-2 in a nailbiting encounter, taking the pair temporarily to the top of the division. 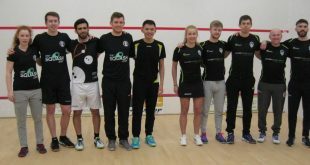 In the Northern Division Pontefract took a strong team to 2016 champions Nottingham, and took a two-nil lead courtesy of Laura Massaro and Abhay Singh. 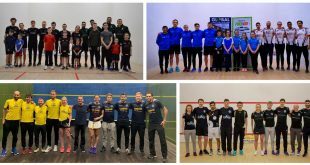 Nottingham’s fightback began with new Cleveland champion Richie Fallows beating Patrick Rooney in three, but Chris Simpson sealed the win for Pontefract, coming from a game down to beat Declan James before Nick Matthew reduced the deficit for the home side. 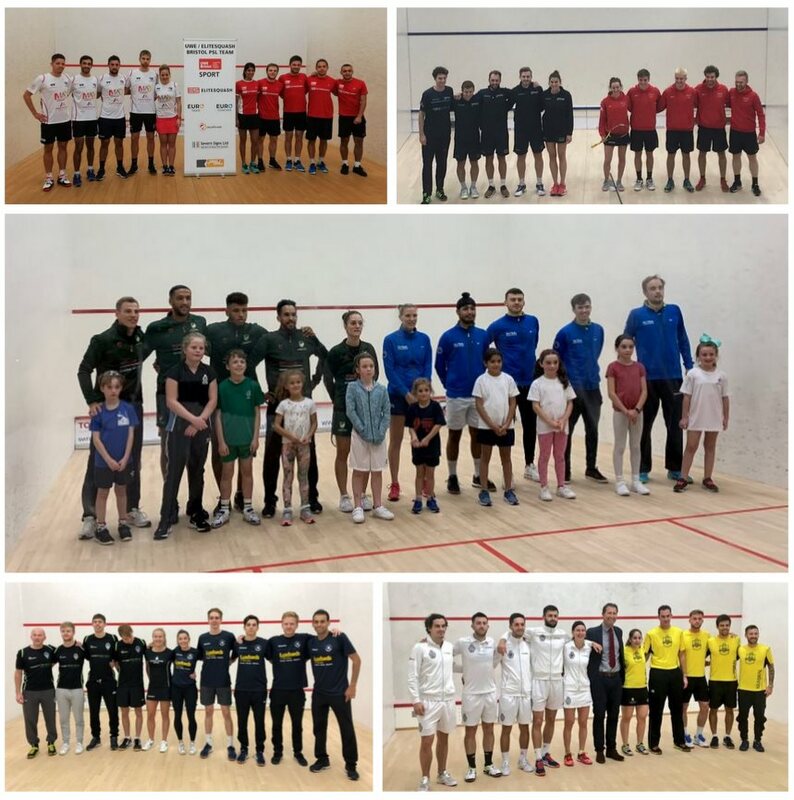 The other two matches both went to deciders in the top strings, Joel Makin seeing Birmingham Lions through against Newcastle with a 2-0 win over Cameron Pilley, while Raphael Kandra sealed the away win for Warwick/Kenilworth, comig from a game down to beat Bristol number one Youssef Soliman.